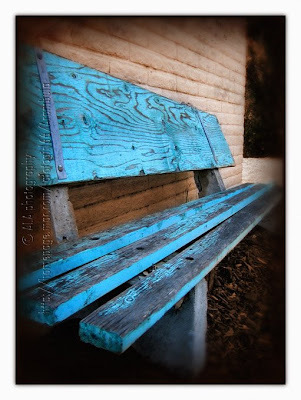 I have a soft spot for park benches. There is something innately lonely about them... especially when they are abandoned. The first one I shot back in the mid-80s won me first place in a inter-collegiate photo contest. It was shot in Balboa Park. The gorgeous shadows caught my eye first. But once I was down on my knees shooting, it was empty pack of Marlboros that completed the image for me. 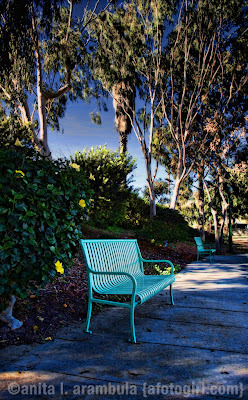 I was out and about walking through my neighborhood the other day and was drawn to Trolley Barn Park. It was about 3 in the afternoon and the park was filled with mom's and young children all playing in the sandbox. Of course, a park full of children and what did my eye find? 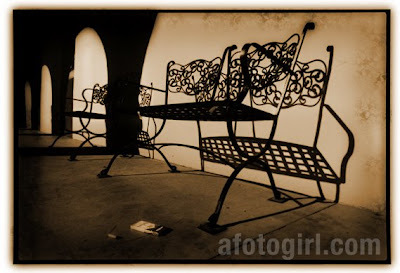 Abandoned benches.